Being awarded a Bachelor of Early Childhood Studies (BECS) from Charles Sturt University (CSU) in Ontario doesn't mark the end of study for Ms Moyra Hewlett, rather it's a step towards further learning. Ms Hewlett is one of more than 150 students from CSU's School of Education who will graduate in a formal ceremony in Burlington on Friday 13 June. Ms Hewlett's own experience as a single parent of twins and involvement with programs offered through the Ontario Early Years Centers inspired her to study early childhood education." Charles Sturt University offered me insight into the issues of social justice and the importance of building relationships with community and family as a means of offering quality programs for children," she said. Ms Hewlett is now planning to study a Bachelor of Primary Education Studies at CSU. "Inspired by my own children, who guide my learning each day I seek to be a teacher who, rather than making children ready for school, creates a classroom with children and for children, in response to their personal gifts and experiences," she said. Read more about the graduation ceremony on CSU News here. A formal graduation ceremony at Charles Sturt University (CSU) in Ontario on Friday 13 June will recognise the achievements of nearly 200 students. Distance education students and more than 150 Bachelor of Primary Education Studies (BPES) Bachelor of Early Childhood Studies (BECS) and Master of International Education (School Leadership) graduands from CSU's School of Education will receive their awards. "It is exciting to see the students in this graduating class take the next step in their careers," said CSU Ontario Provost and Head of Campus, Associate Professor Will Letts. "Each one of our students is truly passionate about teaching and learning and has so much to offer their future students, colleagues and communities. They are so well prepared and I know they are going to shine." Senator, Dr Vern White, who was awarded a Doctor of Police Leadership from CSU's Australian Graduate School of Policing and Security (AGSPS) in 2013, will address graduates, friends and family during the ceremony at the Burlington Convention Centre. CSU Chancellor Mr Lawrie Willett AO and the University's President and Vice-Chancellor Professor Andrew Vann will travel from Australia for the event. Read more about the graduation ceremony here. Charles Sturt University (CSU) in Ontario is offering a final opportunity for students to train to be a teacher in just nine months. From September 2015, new government rules will mean that anyone interested in becoming a teacher in Ontario will have to complete a two-year training program. But Program Director for the Bachelor of Primary Education Studies (BPES) at CSU in Ontario, Ms Paige Bennett said there's still time to enrol for condensed teacher education, to finish in May next year. "There is a significant advantage, both financially and time wise, to completing your teacher training in nine months," she said. "Many of our teacher candidates are changing careers and they want the flexibility and proximity that attending a local campus provides. Our graduates are highly regarded by the local school boards and the proof is that our alumni are getting teaching jobs even in this competitive market." Classes for CSU's Bachelor of Primary Education Studies (BPES) through the School of Education begin on Monday 18 August 2014 and finish on Friday 6 May 2015. Applications for the program are being received until Tuesday July 15 and can be lodged online. "The application process takes into consideration academic achievement and work with children along with youth and other related professional experiences," said Ms Bennett. The University is hosting an information session on Thursday 22 May from 7pm at CSU in Ontario, 860 Harrington Court, Burlington. CSU also offers a Bachelor of Early Childhood Studies and Master of International Education (School Leadership). When Charles Sturt University (CSU) in Ontario graduand Ms Andrea Topic is presented with her Bachelor of Early Childhood Studies (BECS) it will conclude four years of juggling motherhood, work and study. Ms Topic is one of more than 230 CSU students who will graduate in a ceremony at the Burlington Convention Centre on Friday 14 June and her inspiration for returning to study, her daughter Lauren, will be in the crowd. “It has been difficult working full time and studying but I feel that I actually got more out of the program by being able to practice and reflect on my work each day,” said Ms Topic. “I was also able to use my own kindergarten classroom in much of my research, which made the research experiences more authentic for me. I believe strongly in my role as an advocate for social justice for children and my education from Charles Sturt University has provided me with academic arguments to support the passion.” The graduation ceremony will see 10 Bachelor of Early Childhood Studies (BECS) and 160 Bachelor of Primary Education Studies (BEPS) graduands receive their awards, along with distance education students. Working as a teacher and administrator for 17 years in China inspired Mr Andrew Watts to further his knowledge through study at Charles Sturt University (CSU) in Ontario. Mr Watts is one of 160 students who will be awarded a Bachelor of Primary Education Studies (BPES) in a ceremony on Friday 14 June. In China, Mr Watts was involved with accrediting international schools but didn’t have a formal teaching qualification himself. When he moved to Canada he decided to pursue his passion for education and study at CSU. “The Bachelor of Primary Education Studies allows students to learn and hear about how to do something for two to three days and in the same week practice those ideas and theories in their ongoing practicum. It was the most stimulating and reinforcing way of learning something new,” said Mr Watts. “My experience in China taught me to relish current research and to base my future steps as an educator on it. My study at Charles Sturt University has encouraged me to question styles and methods of teaching and to strive towards achieving an inclusive learning community”. A police officer determined to improve the lives of vulnerable women and children in her own community and in war-torn countries will graduate from Charles Sturt University (CSU) in Ontario Canada on Friday 14 June. Staff Sergeant Isobel Granger from the Ottawa Police Service will be awarded a Master of Leadership and Management (Policing) in the graduation ceremony at the Burlington Convention Centre. Staff Sergeant Granger’s area of expertise is in dealing with sexual and gender-based violence and, along with training United Nations personnel, she is part of an international team qualified to investigate war crimes. Read more here. Also graduating will be 12 members of the Ottawa Police Service and the Durham Regional Police Service who will be awarded a Bachelor of Policing. Course Coordinator Mr Brian Daly from CSU’s School of Policing Studies said “The Bachelor of Policing is a very practically based policing program, where current police officers are able to apply their learning directly to their work, and apply their work to their learning”. 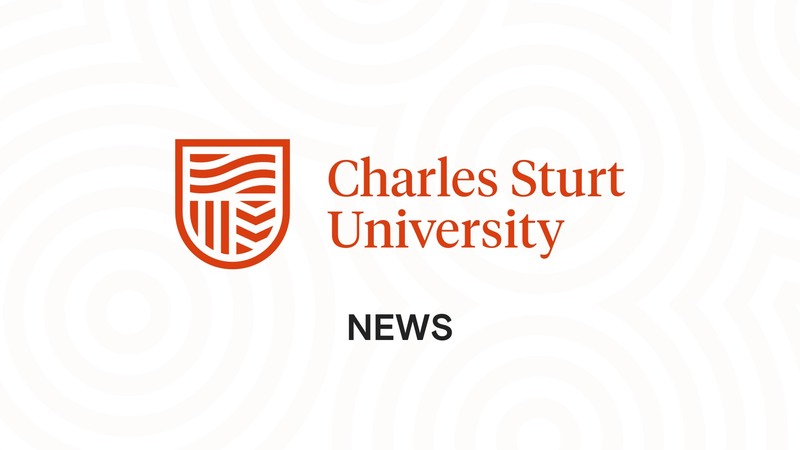 The achievements of more than 230 Charles Sturt University (CSU) students will be recognised in a formal Graduation Ceremony in Ontario, Canada on Friday 14 June. Distance education students will join nearly 200 Bachelor of Primary Education Studies (BPES) and Bachelor of Early Childhood Education (BCES) graduands from CSU in Ontario to receive their awards in the ceremony at the Burlington Convention Centre from 12:30pm. CSU President and Vice-Chancellor Professor Andrew Vann, Associate Dean International Education and Partnerships Professor Pamela Gibbons, Executive Dean of Education Professor Toni Downes and Associate Dean of Policing and International Associate Professor Tracey Green will travel from Australia for the event and the occasional address will be delivered by Australian Consul-General and Senior Trade and Investment Commissioner, Ms Portia Maier.